The router may be the most versatile, and the table saw the most used, but my favorite shop tool is the cordless drill. The cordless drill has to be one of, if not the, coolest thing to come along. Removing that cord made the drill the easiest, most fun tool to use. Innovations like clutches, multiple speed ranges and speed-controlling triggers, made it better yet. And with newer battery technology dropping the weight to almost nothing, its hard to believe but theyve become even nicer still. You have to split these into two categories. Pretty much all of the drills are actually drill/drivers, as their lower speeds and torque settings make them perfect for driving screws in any material from the toughest to the most delicate. But a smaller category has split off in recent years that are strictly drivers  which you can also drill with if you have some hex-mount bits and dont mind the really slow speed. I currently have six drill/drivers or drivers that I use. I have another five or six older ones (that I know of) stashed away somewhere. They range from two beefy 18-volters I rarely touch to a 3.6-volter under the front seat of my car. Call them what you will, I love them. 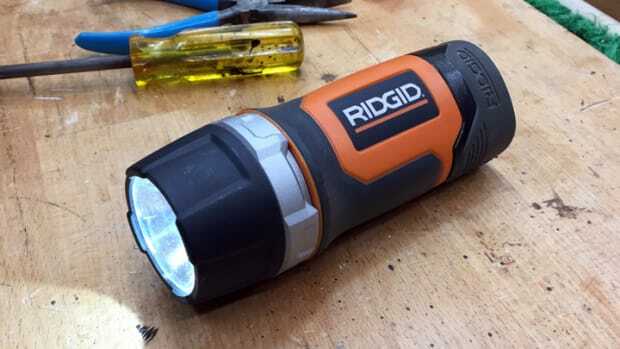 My current favorites are a 12-volt Ridgid drill/driver I bought refurbished at an outlet center (I got it while my wife was buying clothes or yet another purse, so it made the stop worthwhile). And if I have absolutely no real need of drilling for a project, my new favorite is one of the little 12-volt DeWalt drivers introduced a few months ago. I use these two tools for nearly 95 percent of my drilling and driving tasks and could, if forced at gunpoint, probably get rid of the other 10 or more I have in the shop and never miss them. But I certainly wouldnt do it voluntarily. Thatd be like my wife getting rid of one of those purses she never uses.